Find the ethical edge and embed ethical power into your organization’s decision-making. Finding the Ethical Edge℠ is a half-day program designed to help leaders establish sound ethics as the driving force behind profitable businesses. Utilizing real-world scenarios, this program explores how businesses have reversed disaster by aligning their priorities and focusing on ethics to increase performance, decrease risk, and embed ethical power into decision making at all levels of their organization. The QUESTION: What is Ethics in business and organizational life? No organization—for-profit, non-profit, governmental, military, municipal—can exist without an ethic to bind the group. Learn what your fellow participants believe ethics is. Explore the fundamentals of ethics beyond right and wrong. LANGUAGE: Connect your words to ethical action. Language is essential to preserving what is good in your culture. The unsustainable contradictions that “greed is good” or “good is the enemy of great” are destructive to real ethics. Press the “reset button” on your language. We give you a new and easily accessible language for making ethics real and effective to your people and performance. CHOICE: Freedom for, not from, excellence is the key to ethics. Learn how to encourage, embed and inspect for the right choices among your employees and leaders. This course will give you practical priority frameworks to optimize effectiveness and ethics in your organization. You will also receive access to our EthicsPoll™ toolkit to survey your organization. PRIORITIZERS: Did you know that there are four primary types of prioritizers? This section of our program unlocks your natural know-how and provides you with accessible and high-impact language, as well as a toolkit for inspecting and harmonizing good choices in your organization. PRIORITIES: We all know that priorities are what we believe to be important, even urgent. Learn a different and more powerful way to think about priorities that ties excellence in human choice to performance and ethics. You will learn how to establish priority performance dashboards and appraisal systems. 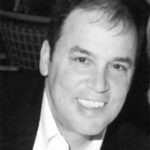 Alan Ziegler is President and CEO of the Futures Funding Corporation and has been involved in the sales and service of employee benefit plans for over 30 years. He is also the founder and President of the Rochester Area Business Ethics Foundation (RABEF). RABEF sponsors the annual ETHIE award to businesses that exhibit high ethical cultures, as well as a variety of other educational programs and seminars. In their 11 year history, they have grown to be one of the most important business programs in the Rochester community. In recognition of that work, he was recently one of 4 national recipients of the “Being a Difference” award, given by the Center for Public Trust.